see description on images or the codeclerks.com website. 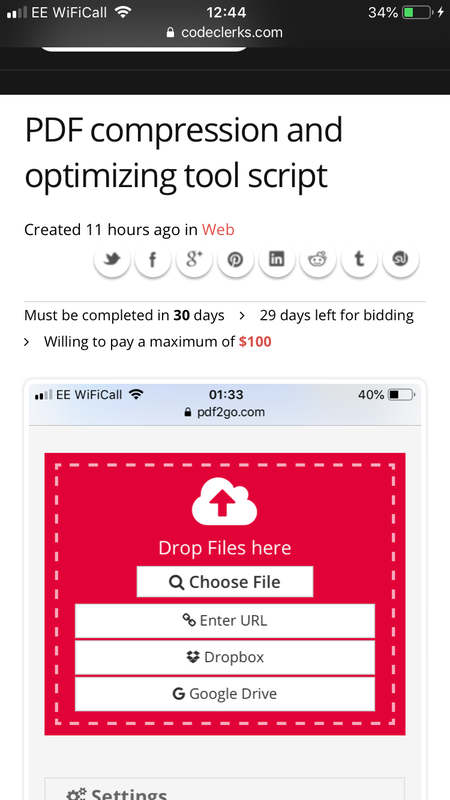 i want a PDF optimizer building to be used on a website for public use to drive traffic towards me. the price of £100 is litterally a blank space filler. what this type of thing actually costs i don’t know. must be proffesional and able to build to a high standard. 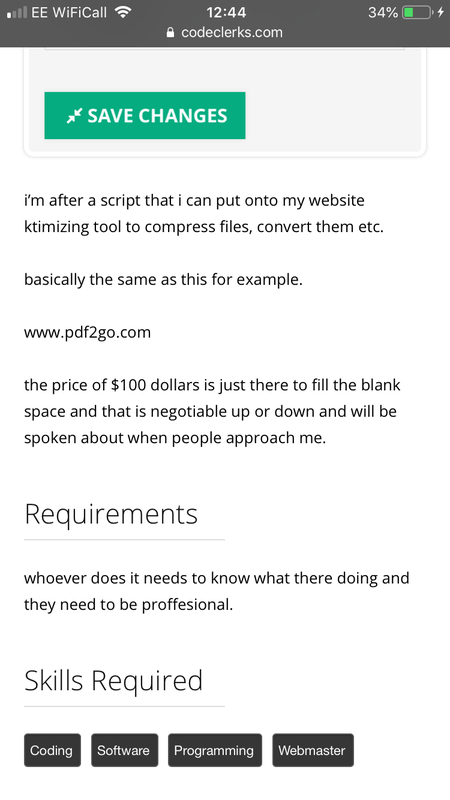 the tool does not need to be all singing and dancing and litterally if it only does a good compression and nothing else i’ll be happy.